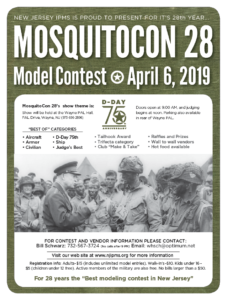 The March 2019 edition of the NJIPMS newsletter, the MosquitoGram, has been posted to the Newsletter page. The March meeting is all set for this coming Friday, March 8th. See you all there! With MosquitoCon rapidly approaching, all data pertaining to the show is being added to the MosquitoCon 28 page, as it is received. As usual, it looks like it’s going to be a large show. The Upcoming Events page has been updated as well, with shows later in the year. If there’s something coming up that everyone in the club should know about, let us know and it’ll be added. The one-page flyer for MosquitoCon 28 has been uploaded to the MosquitoCon 28 page. Also, the December 2018 edition of the MosquitoGram has been uploaded to the Newsletter page. The NJIPMS Christmas party takes place this evening, Friday December 14th. See you all there! The October 2018 edition of the MosquitoGram has been uploaded to the Newsletter page. The March 2018 edition of the MosquitoGram has been uploaded to the Newsletter page. Also, additional information is being continually added to the MosquitoCon 27 page. The August 2017 edition of the MosquitoGram has been uploaded to the website, on the NEWSLETTER page. 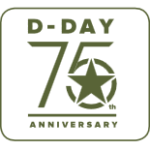 You can download and read the latest version of the MosquitoGram, the NJIPMS monthly newsletter, on the Newsletter page HERE. Bill Schroeter has sent in the latest newsletter, the May 2017 edition of the MosquitoGram. Find it HERE on the Newsletter page. Everything is a GO for this month’s meeting, tomorrow evening, May 12th, same time, same place. See you all there. You can find the February 2017 edition of the MosquitoGram on the Newsletter page. This is Bill Schroeter’s first issue as editor, so give it a look and thank him when you see him.